In one form or another, the fleshpots on Broadway have been there longer than anyone living in the neighborhood. 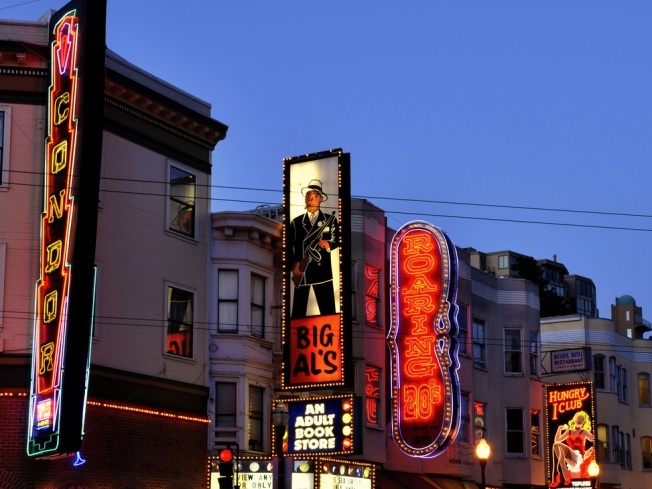 North Beach may not be popular with San Francisco locals, but its nightlife certainly attracts patrons and their dollars to the City. However, neighborhood resident Frank Therre isn't happy about what he perceives as a dangerous scene on a typical weekend night. So he and others have put together ResidentsCentral.com in the hopes of getting citizens to band together and call for stricter regulations on clubs, and generally meddle at City Hall on behalf of NIMBYs citywide. Board of Supervisors President David Chiu, who represents North Beach, has argued for rule changes from the city's Entertainment Commission that would require better policing of the city's nightclubs. The Entertainment Commission, however, is stacked with businesspeople who profit from late night entertainment appointed by San Francisco Mayor Gavin Newsom, who made his name with nightclubs like Matrix Fillmore. Jackson West figures violent drunks at clubs full of pretty dancing girls is a time-honored San Francisco tradition that make the city what it is.